I have a feeling that not many children’s games can really get high marks in this category – or at least not if it’s a very good children’s game. It’s not so much a question of unfairness, but of complexity – very small children just don’t have the attention span to follow complex chains of puzzle dependence. The first Putt-Putt game is a good example, since all its puzzles are fairly pedestrian – here are birds, give them seeds. I might have settled for 3, if it weren’t for the repetitive lawn mowing. I know kids often love minigames, but here I can’t imagine even them going voluntarily through this ordeal more than once. A simple and effective method of making a child glued to his screen is what I would call the but-moment (I guess professionals name it the plot reversal). Just to make it clearer what I am getting at, I’ll just summarise an episode out of the favourite show of my three-year old child, Paw Patrol (plot spoilers follow). 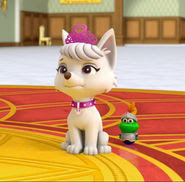 At the beginning of one episode, Chase is assigned to guard a royal crown from thieves (the primary goal of the story), BUT then the crown is stolen by Sweetie, puppy of the princess – Chase knows the culprit, BUT Sweetie locks Chase up and frames him as the thief – BUT, finally, Paw Patrol find Chase and crown and reveal the real thief. That’s three but-moments in just over twenty minutes – and the child is hooked. Come to think of it, even classic children songs knew the power of but-moments. Five little ducks went swimming one day – BUT then one by one all of them disappear – BUT then the power of daddy duck’s quack brings them all back. 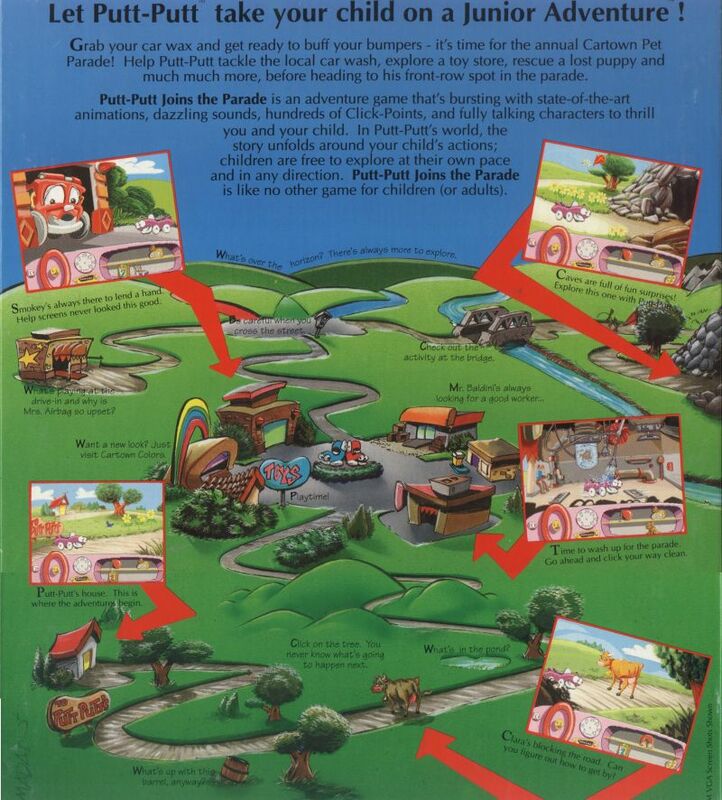 Frustratingly, the plot of Putt-Putt doesn’t really move that much beyond the search of Dipsy’s hat. We have the primary goal that Putt-Putt wants to join the parade and has to find some things to get there – and through the course of the game, he just does the required chores and finds those things and gets to the parade. No reversal of the original plot ever occurs. With a plot this thin, I cannot give very high numbers. 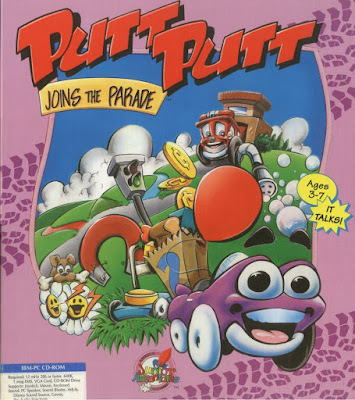 I couldn’t believe it at first, but apparently in addition to Jason Ellefson, who does OK job as a chirp and cheery Putt-Putt, majority of the voices were done by one person – Scott Burns, who later became the voice of Bowser – and it is quite remarkable how many different sounding characters he could do. While the acting is thus at least commendable, the dialogue itself isn’t that memorable. Although I feared of being too harsh for the game, the overall result was still quite high and only nine points away from the other children’s game of the year (Mixed Up Fairy Tales). I feel like I don’t need to adjust the score, so it’s now official. 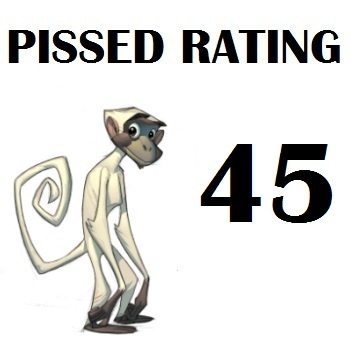 Did anyone guess 50? No, but both Biscuit and Michael were only one point away from the correct answer. Congratulations to both of them! PREVIOUS POST Previous post: L’abbaye Des Morts – Upcoming eagerly awaited C64 port gets a wicked trailer!